I can’t spell. I am a very creative speller. This should not be a shock to anyone who has ever had to read anything I have ever written. A hundred years from now some great-grandchild is going to try to read my journals and wonder what language I spoke. The summer between fourth and fifth grade my mother had me go to a tutor. I think the experience was painful for all of us. My seventh-grade teacher compelled me to write my new spelling words two-hundred times each every time I got a ‘D’ on my previous spelling test. If I didn’t write them, I received a ‘D,’ on the next test, so I wrote them and got a ‘D’ anyway. The screen was microscopic, but it did catch spelling errors. Finally, my sophomore year of high school my English teacher administered a battery of tests and diagnosed me with a spelling-related learning disability. (Vindicated!) He went on to explain something about M’s and N’s and syllables in the middle of words and gave it some fancy name that I have long forgotten. I can spell the name of the longest river in the United States “Missippi” and see nothing wrong with it. I have already explained how Mrs. Rinard dealt with it the following year. 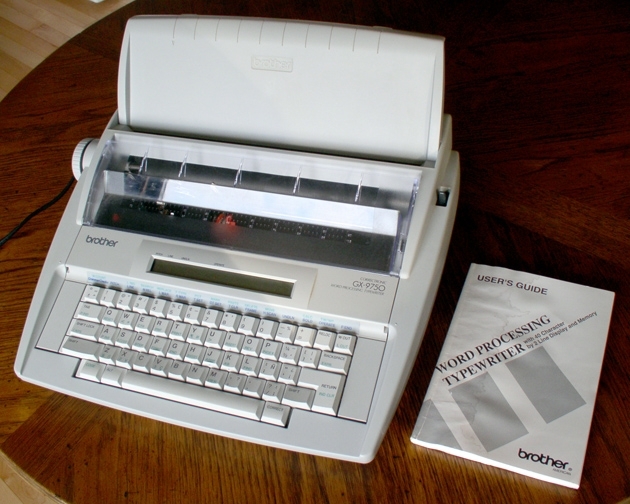 For graduation my parents gave me a Brother Word Possessing Typewriter, It had a form of spell check, and I was off to college. After graduating in Graphic Design from Brigham Young University, a major that doesn’t require many papers, I landed my first job as a graphic artist for BYU. One day someone in Dining Services realized that there was construction on campus. (Seriously they just noticed? IThere is so much construction on campus that if BYU had an official bird, it would have been the Construction Crane.) Anyway, they decided that they needed thousands of brochures to explain dining options/temporary locations to visitors, delivered yesterday. Yea! My favorite thing a rush job! Not really. Chris wrote the copy while I designed the cover and the map using Adobe Illustrator 3.0 – which did not have a spell check feature. (Usually, writing and design jobs were not done simultaneously.) Labeling the map, I knew I misspelled some of the words. However, since Chris was frantically writing, I choose not to bother her. Instead, I deliberately misspelled questionable words so incredibly odd so that when we proofed it, we would be sure to catch it. I think I told Chris, but that may have only been in my mind. In the meantime, someone else realized there was construction and requested another rush job. (The cranes are not that hard to miss!) Under pressure, we got the first job done and ready for approvals. The approval process for a job of this size required no less than four signatures all the way up to the director’s level, just below University Vice President. At each level, the brochure was supposedly read and approved. Then it was sent to the press, this was before direct to press technology, so printing plates were made and then approved by our office. By my count, this means that no less than ten people have looked, or should have looked, closely at the project. The brochure went to press early that morning. The inside, designed in Quark Express-with spell check, containing Chris’s copy and supplemental graphics was printed first. When that was completed and dried, the pressman cleaned the press and started to run the cover side. About 2:00 p.m. we got a call. They had stopped the press on our job. The press operator had been looking at his finished work to check for press problems and actually read the cover, not just looked at the graphics. We ran down the hall to the press in disbelief. My horrid misspellings? Yup still there, forgotten with the next rush job. Panic set in, this was a $12,000 print job. That didn’t include any other time and expenses incurred. We knew heads would roll. I was the low man on the totem pole and the amount I just cost the department was equal to several months’ worth of pay. With firings on my mind, we corrected the cover, got approval and got it back over to pre-press to make a new plate. The project manager at the press tried to be reassuring that part of the job might be saved. Then we waited for the reaction from higher-ups. My boss, Ted, got the phone call. He came out of his office and handed Chris the keys to the office car and me the BYU Bookstore card. He instructed us to buy dictionaries and not to return until just before five. As we departed out of the back door to the office the director and a department head came in the front. I imagined my pink slip in his hands. Not my set but the same one. 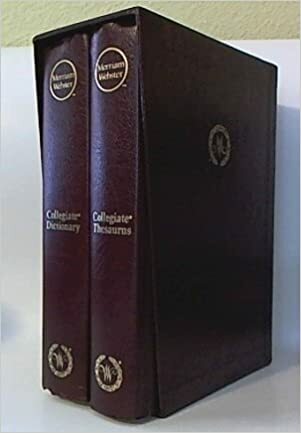 At the Bookstore, Chris and I found a two-volume Merriam Webster dictionary/thesaurus deluxe boxed set bound in brown. It was on sale, so we got two and spent an hour wandering around the store trying not to speak of what might happen. Chris already had worked for BYU more than ten years; I wasn’t too worried she would lose her job, but I hadn’t even made the eighteenth month mark. We returned to our office just before five and learned we both still had jobs. I wasn’t present at the meeting that Ted had with the higher-ups, but the story shared with me have stuck with me as an example of true leadership. Seeing dollar signs, the director asserted that I should be fired. Ted claimed that as my boss he had signed off on the project and that if I should be fired, he should face the same consequence. Ted worked for nearly thirty years at BYU; a single $12K error was not reason enough to fire him. He wisely did not point out the director’s and department head’s signatures were also on the approval slip. The director backed down, and calmer heads prevailed. One thing I know about Ted is he wasn’t bluffing; he would have put his job on the line. As an employee, he had my total confidence and loyalty. I don’t know if I have ever reached Ted status, but in leadership roles, I have always tried to act as he did. As for the rest of the story… Final calculated damage was around $3,000. I thanked the sharp-eyed pressman profusely as well as the project coordinator at the press. Our office added another layer of proofing to our process, and my beloved dictionary set sat on my desk until the day I left BYU for the East Coast. I wish I could have taken it with me; I am sure they have been relegated to a dusty corner, no one uses physical dictionaries anymore. There was a tradition at the time that when someone retired, they could choose an inexpensive item from their office to keep. I don’t know if it was rumor or real. But if I had such a choice, I would have kept my brown boxed dictionary set. If I close my eyes, I can still see it there on my desk next to my white Adobe program books, its gold lettering shining as the setting sun catches them through the window.